Nothing is without movement, all exists in a wave form of some kind. Everything that exists does so at its own particular vibration. What might appear to be at rest to us, still moves. The rock that appears to be without movement, we know from physical science, that it is, in fact, in a state of movement, of vibration, on an atomic level. At some point the vibration slows enough to become solid, visible, tactile, and at some point the vibration can be sped up enough to move beyond the solid, visible and tactile. This Principle seems so obvious to me that I am at a loss for how best to describe this principle more fully. At one end is a state of vibration so immense that it appears to not be moving at all, on the other end the vibration has slowed down so much that it appears to not be moving at all. Between these two extremes is a nearly infinite array of possible states. 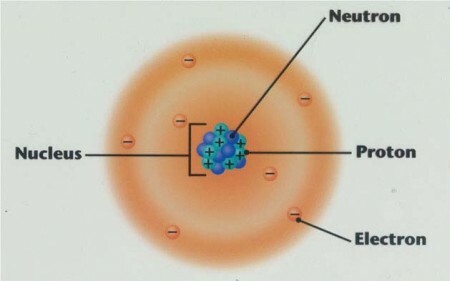 An atom with the electron cloud. The electron is always in motion and is randomly at any one position at any given moment. Most people, I think, would not argue that this is actually true, that everything is always moving at some vibration. We are taught in school about the atom with it’s neutrons and protons packed together in a core with electrons circling about them. In this it is understood that even the smallest particles of matter are constantly in motion. On some level, I think we accept it, because it is true and makes sense, even if we cannot put this truth into practical application all the time. Let us place these concepts together for a moment, the Principles of Mentalism, Correspondence, and Vibration. If all of reality is mental, occurring in an Infinite Living Mind, and all that we know and experience corresponds with the greater and lessor realms, then understanding the Principle of Vibration provides you a context for movement within all of this reality. Taking all of this truly to heart, everything that can exist, will exist, or might exist does so in the Infinite Living Mind in some state, or other, of vibration. Understanding this, we can begin to explore how that vibration could be slowed down or speed up. If all of reality is mental, then it would correlate that our thoughts, our mind, has full and complete effect upon all of reality. Our thoughts are a vibration so high that we cannot perceive them with our five known senses. The energy of our thoughts ripple out into The All as fast as we can think, the saying “at the speed of thought” has very old roots. By using the principle of correspondence we can then begin to conceive, in our mind, what the higher expressions of life might look like. In the purity of thought one could, hypothetically, manifest something from “nothing,” teleport, fly, obtain immortality, read thoughts, or any other manor of seemingly impossible tasks. Again, we are brought to the great need to master ourselves, our every thought, emotion, and action. For these things are constantly flowing out into the Infinite Living Mind, being reflected back to us, creating the space for our interactions with the world. Thoughts manifest and one of my favorite illustrations of this point is as follows: if you think of thoughts as objects in space, and like thoughts attract like thoughts, they begin to attract to one another and coalesce, becoming denser and denser. As these thoughts clump together, they begin to lower in vibration until, ultimately, they manifest in your life. Maybe not as an object, although there is no reason why it could not, but usually as the circumstances of life. This is another reason that everything happens for a reason, or, said another way, there is no such thing as chance or coincidence. The first division to heal is without ourselves, which, simply, means that we must bridge the conscious and subconscious by becoming acutely aware of every thought and emotion. This allows us a fuller understanding of our “internal landscape” from which to affect real change. Because, the true reality is that all is mental, which means that all aspects of your consciousness are designed to be unified, made whole, made one, and healed. As we unify our consciousness, harnessing the full power of our mind in this mental reality, there is no limit to what we can do or accomplish. It is in this space that understanding the Principle of Vibration will allow one to excite or slow the vibration of ourselves and objects. This begins to enter the realm of the “supernatural” and “impossible,” both of which are misnomers. For this state of godhead is our divine birthright. Not is some place after the death of the body, but right here, on earth, right now. I challenge you to begin thinking of one thing or circumstance that you wish to bring into your life. As you think about this thing, let’s say money, begin to become aware of all the thoughts and programing that tells you that you cannot have money, or that obtaining it requires some conditions. As you become aware of these thoughts blocking you from experiencing what you are asking for, begin to transform these thoughts of cannot or condition to thoughts of having the experience right now. If you can do this you will begin to experience those things you are asking for coming into your life more and more. Yet, one must remember, that it takes time to change the gathered energy of a negative thought, you have probably had it for many years, and one day of positive thoughts will not be enough to erase it all. 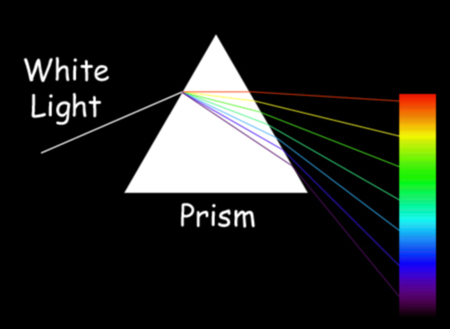 One Response to "The Laws of Reality: The Principle of Vibration"